SAN DIEGO--(BUSINESS WIRE)--Apr. 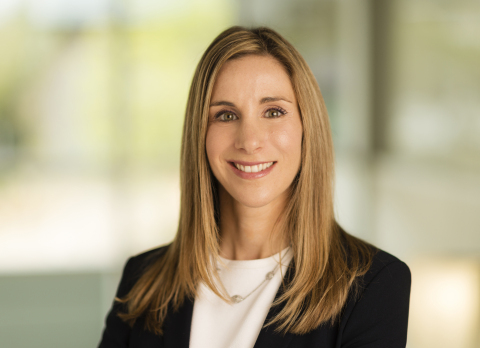 1, 2019-- ACADIA Pharmaceuticals Inc. (Nasdaq: ACAD), a biopharmaceutical company focused on the development and commercialization of innovative medicines to address unmet medical needs in central nervous system (CNS) disorders, today announced the promotion of Elena Ridloff, CFA to Executive Vice President, Chief Financial Officer. Ms. Ridloff joined ACADIA Pharmaceuticals in April 2018 as Senior Vice President, Investor Relations and has served as the company’s Interim Chief Financial Officer since October 2018. Previously Ms. Ridloff was Senior Vice President, Investor Relations and Interim Chief Financial Officer at ACADIA Pharmaceuticals. Prior to joining ACADIA, she was Vice President, Investor Relations at Alexion Pharmaceuticals and served as a member of the Operating Committee. Additionally, Ms. Ridloff was Chief Executive Officer and Managing Member of BIOVISIO, an independent consulting firm providing strategic, financial and investor relations counsel to the life sciences industry. She was also a Managing Director at Maverick Capital, a hedge fund based in New York, and was responsible for investments in the biotechnology, pharmaceutical, medical device and life science sectors. Ms. Ridloff earned her B.A. in History and Sociology of Science from the University of Pennsylvania. She is also a CFA® charterholder. NUPLAZID is the first and only FDA-approved treatment for hallucinations and delusions associated with Parkinson’s disease psychosis. NUPLAZID is a non-dopaminergic, selective serotonin inverse agonist (SSIA) preferentially targeting 5-HT2A receptors that are thought to play an important role in Parkinson’s disease psychosis. NUPLAZID is an oral medicine taken once a day with a recommended dose of 34 mg. ACADIA discovered and developed this new chemical entity and holds worldwide rights to develop and commercialize NUPLAZID. ACADIA is a biopharmaceutical company focused on the development and commercialization of innovative medicines to address unmet medical needs in central nervous system disorders. ACADIA has developed and is commercializing the first and only medicine approved for the treatment of hallucinations and delusions associated with Parkinson’s disease psychosis. In addition, ACADIA has ongoing clinical development efforts in additional areas with significant unmet need, including dementia-related psychosis, schizophrenia inadequate response, schizophrenia-negative symptoms, major depressive disorder, and Rett syndrome. This press release and further information about ACADIA can be found at: www.acadia-pharm.com. Statements in this press release that are not strictly historical in nature are forward-looking statements. These statements include, but are not limited to, statements related to the potential opportunity for future growth in sales of NUPLAZID. These statements are only predictions based on current information and expectations and involve a number of risks and uncertainties. Actual events or results may differ materially from those projected in any of such statements due to various factors, including the uncertainty of future commercial sales and related items that would impact net sales during 2019, the risks and uncertainties inherent in drug discovery, development, approval and commercialization, and the fact that past results of clinical trials may not be indicative of future trial results. For a discussion of these and other factors, please refer to ACADIA’s annual report on Form 10-K for the year ended December 31, 2018 as well as ACADIA’s subsequent filings with the Securities and Exchange Commission. You are cautioned not to place undue reliance on these forward-looking statements, which speak only as of the date hereof. This caution is made under the safe harbor provisions of the Private Securities Litigation Reform Act of 1995. All forward-looking statements are qualified in their entirety by this cautionary statement and ACADIA undertakes no obligation to revise or update this press release to reflect events or circumstances after the date hereof, except as required by law. Dosage and Administration: Recommended dose: 34 mg taken orally once daily, without titration. Indication: NUPLAZID is an atypical antipsychotic indicated for the treatment of hallucinations and delusions associated with Parkinson’s disease psychosis. You are encouraged to report negative side effects of prescription drugs to the FDA. Visit www.fda.gov/medwatch, or call 1-800-FDA-1088. You can also call ACADIA Pharmaceuticals Inc. at 1-844-4ACADIA (1-844-422-2342). Please see the full Prescribing Information including Boxed WARNING for NUPLAZID at https://www.nuplazid.com/pdf/NUPLAZID_Prescribing_Information.pdf.